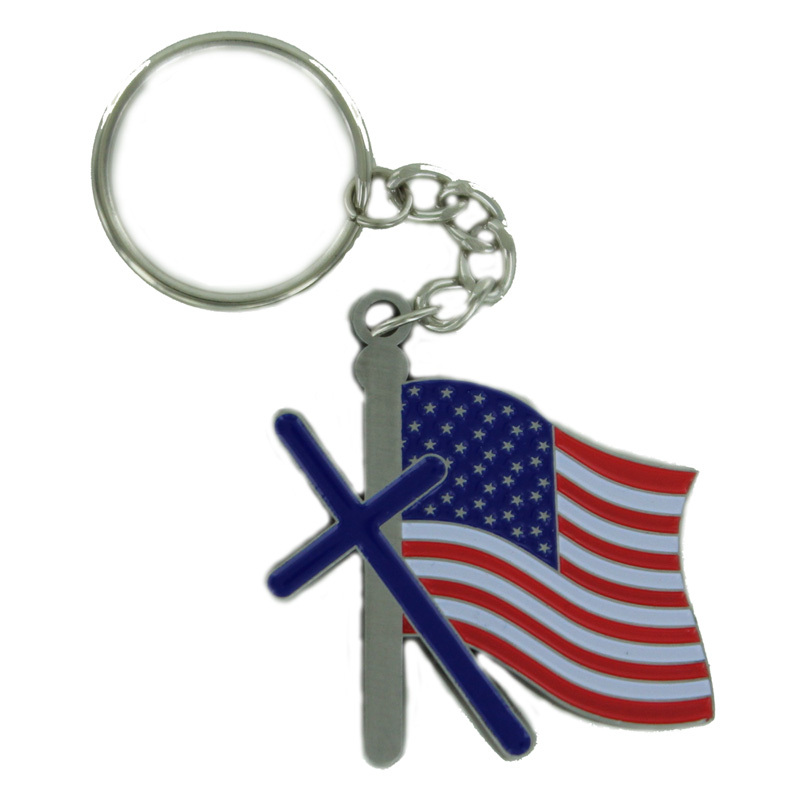 Item Description: Die cast cross with American flag. Antique pewter finished soft epoxy enamel. Split key ring with chain. Size: 2 inches and 3mm thickness. 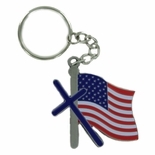 Engraving Option: Engraving is available for this item with a maximum of 3 lines of text engraving only. For 5 or more pieces with engraving, please use the Upload link.